Our Owner and Director, Michael Bischof, met with Hollingworth Primary School to discuss how we could transform their outdoor play area. 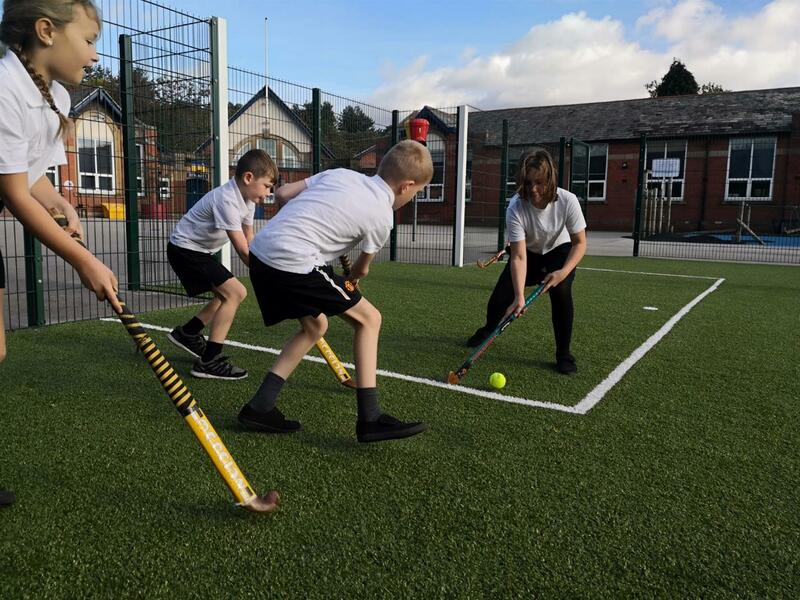 After careful discussion, we designed and installed a versatile Multi Use Games Area (MUGA) to promote active play. A vast contrast from the previous old-fashioned, concrete playground, where children were at risk of injury when engaging in sports. 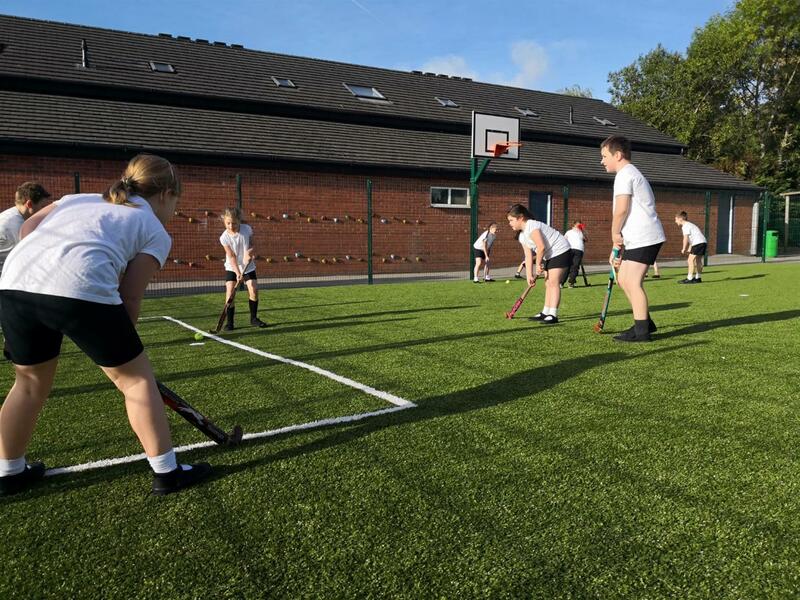 The selected surface for the 20-metre by 12-metre MUGA was sand filled artificial grass. 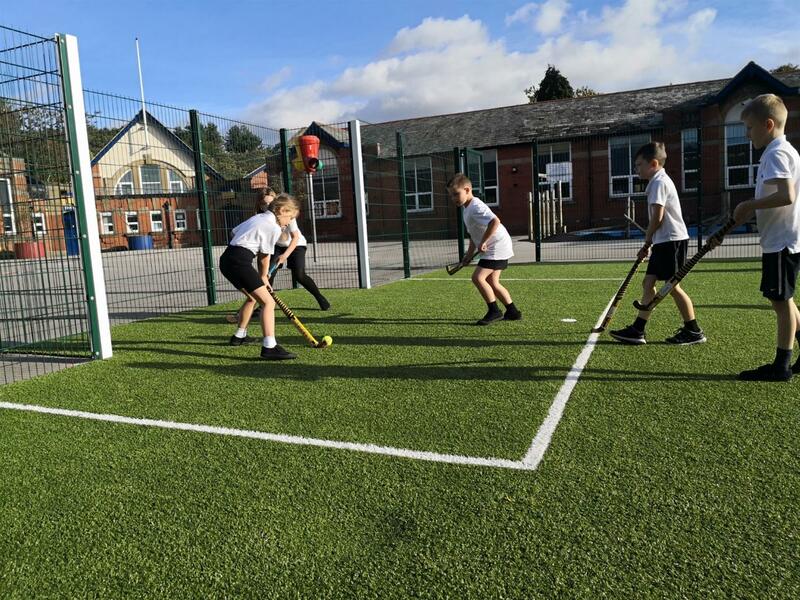 This is an ideal base not only because it is aesthetically pleasing and closely imitates the look and feel of grass, but also owing to its durability and being suitable for a variety of sports such as football, netball and hockey. We have a huge variety of MUGAs to satisfy a wide range of sporting demands. It is an all-weather surface, so come rain or shine: the game will go on! 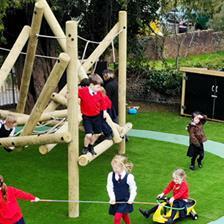 We enclosed and separated the area from the concrete playground by adding a sturdy 2-metre-high green steel mesh fence. 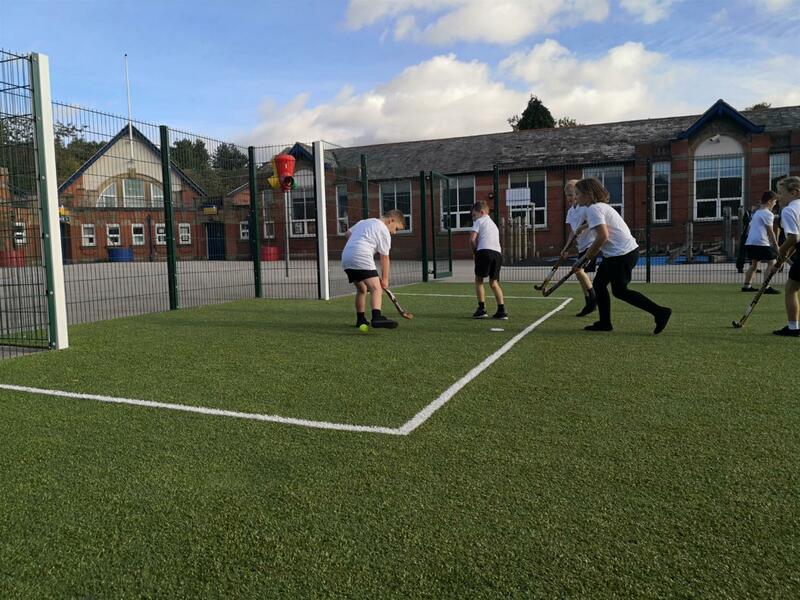 We created 4-metre by 1-metre white recessed goal areas with white, robust goal posts at either end of the MUGA, so children can refine and practise their foot/hand-eye co-ordination. 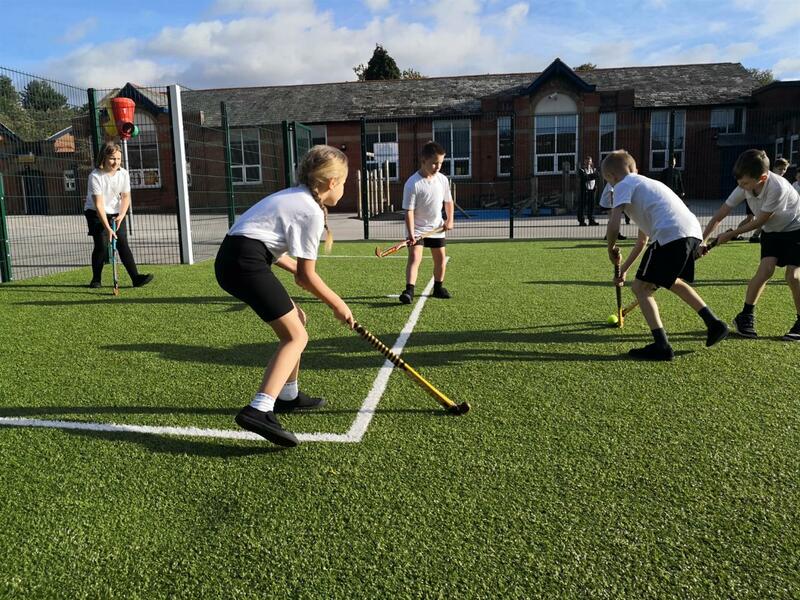 Hollingworth Primary School also opted to have a basketball hoop added to the mini MUGA to add variety, so children can practise shooting skills and develop upper body strength whilst having fun! View our full range of Goal Ends and Ball Shoots here. 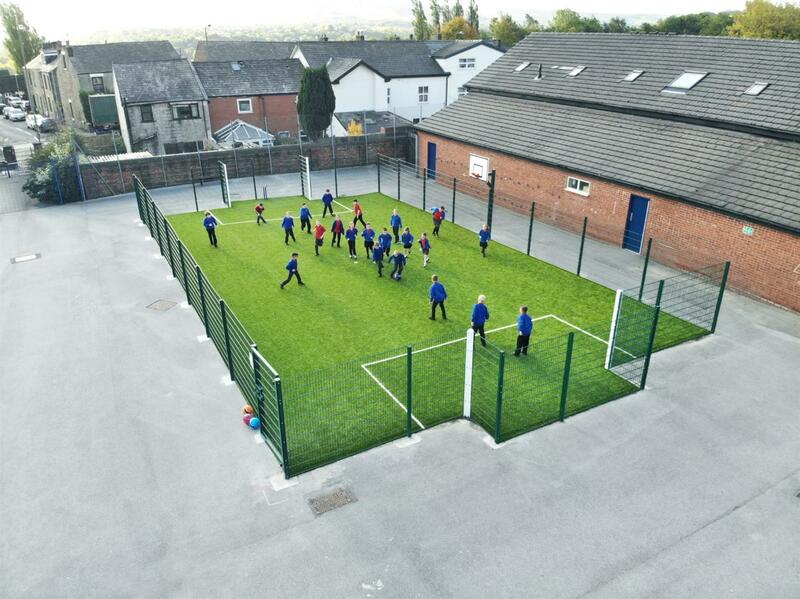 The eager school children at Hollingworth Primary School can’t get enough of their new MUGA and we couldn’t be more pleased with the outcome. 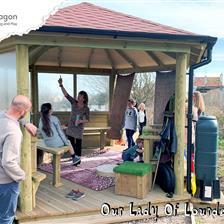 MUGA’s are an excellent resource for outdoor school areas. 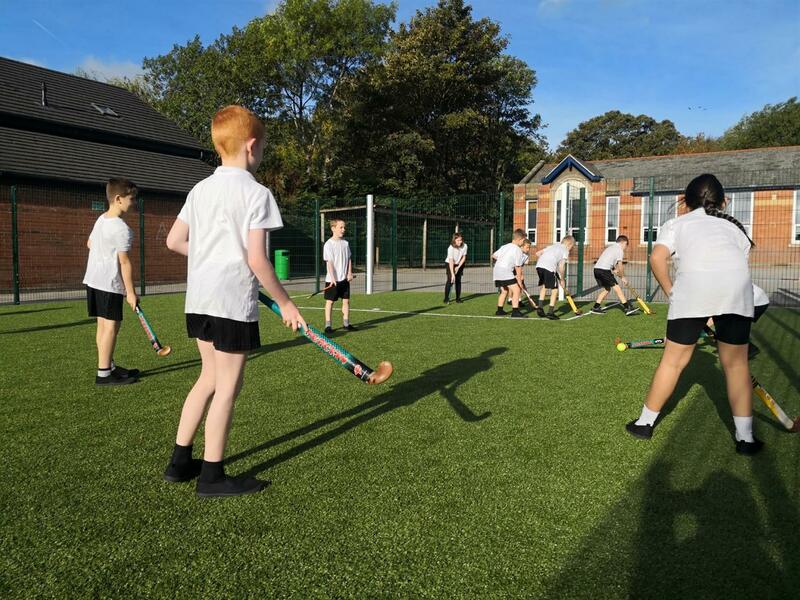 Whether they are used for sports practice before, during breaks and after school, or as part of a PE lesson, they are an invaluable addition to the school and are low maintenance, too. If you are looking to add a MUGA to your school, we can help you create a Multi Use Games Area to meet your school’s requirements and financial budget. 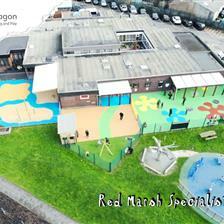 Visit our page for Multi Use Games Areas and Contact Us for a free consultation and expert advice.